Back in December I realized I had spent two full years home with my kids livin’ the dream as a stay at home mom. Now I could go on and on about the wonderful, life fulfilling qualities that happen if you get the chance to stay at home with your kids, and how hard it is, but let’s be honest here- staying home is pretty freakin’ awesome. Yes some days s-u-c-k but most often I’d rather opt for a cornea scratch than have to go back work right now. (And I really liked my last job!) 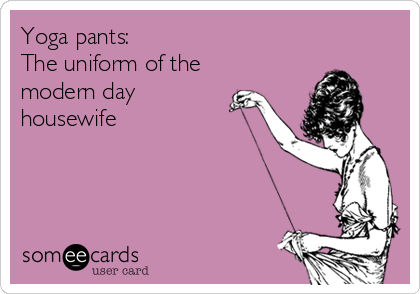 So instead of giving you a list of intangible, fluffy reasons to stay home with your kids I’d like to share with you some not-so-serious ‘pros’ to join the ranks of the yoga pant-clad women known as SAHM’s. 1. Kathie Lee and Hoda. I mean seriously SAHM moms have an excuse to get sucked into their shenanigans. It just comes on after the other morning news shows I didn’t just turn to it…or did I? 2. Two words: bras optional. No seriously, if I know I’m not leaving the house you know I’m not wearing one. *Disclaimer: Remember to wear one on the days the Schwann man shows up…cuz that’s real awkward. 3. Pajamas all day! Do you need further explanation? 4. You become a crafting, sewing, cooking, baking, etc connoisseur. Those long winter days inside force you to pick up some hobbies because day time TV is horrendous. But seriously, staying at home fits our family right now. Five years from now? Who knows? I’ve worked while raising my kids so I never do the stay at home vs. working mom debate with friends. Once you do that, there’s no winners, no friendship and hurt feelings. I admire all women who choose the lifestyle that fits their family’s needs, not society’s needs. Each mom, husband and child is so unique that a cookie-cutter blanket statement about working in or outside of the home is ignorant and often offensive. With all the Christmas and Advent activities swirling around the internet and in our heads, it’s almost impossible to try to get anything accomplished. 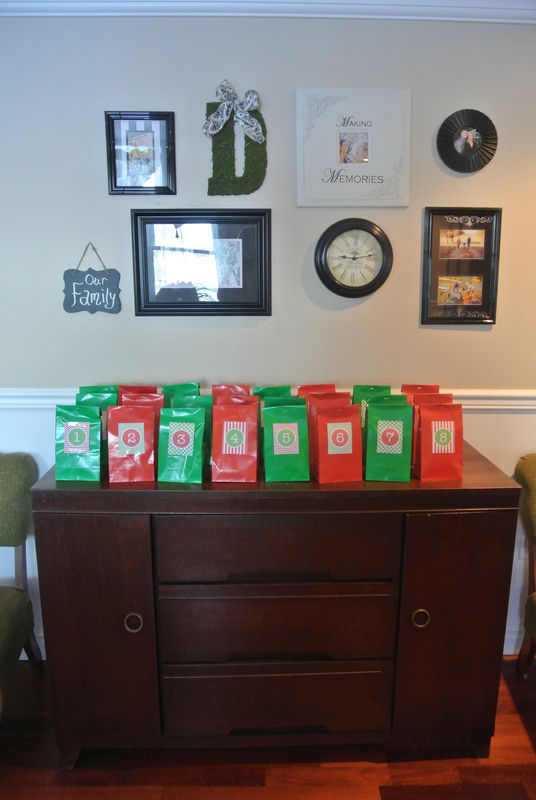 One activity that I felt is important to incorporate into our Christmas prep is an Advent calendar. I have never done one with my kids and I don’t remember doing one when I was little (we did a Jesse tree and had an Advent wreath). But because my kids are little, I thought about ways of doing fun Christmas “stuff” that also related back to the true meaning of Christmas. 1. I bought treat bags from the party section at Dollar Tree. They can be found here. 2. I printed these fun numbers and taped them on each bag. 3. I filled the bags with dollar store trinkets. Here’s a sampling of what I included: chocolates, crayons, chapsticks, nail polish, band aids, balloons, misc candy, matchbox cars, stickers, Bible story books, lotion, learning games, etc. 5. The last part I incorporated (and the most important) was a Bible verse each day that completed the Nativity story. I got the verse ideas here. 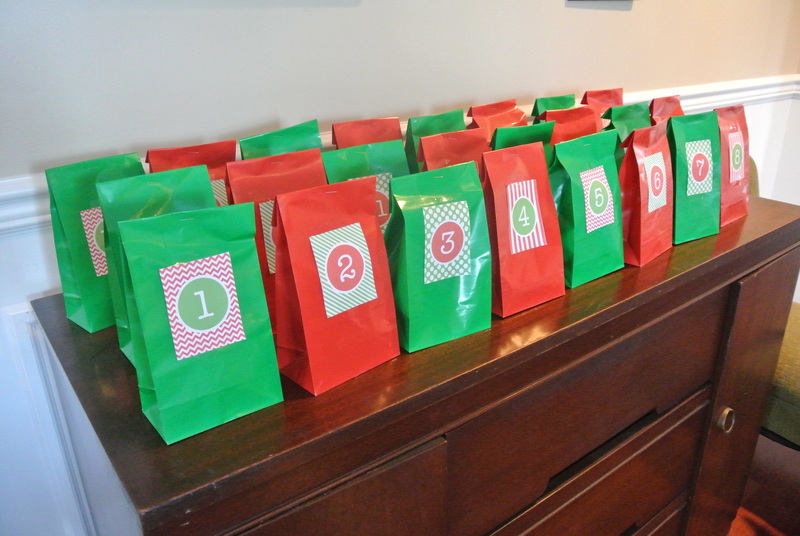 Once the bags are opened and the excitement over the treat is over, we sit and I read the actual verse from the Bible and explain it in terms that are understandable for a two and four year old. We’ve done the first three days without any trouble (well the fact that they have to take turns each day opening the bag was a hard concept the first day) I’m optimistic about the rest of the month. On Christmas day I will have a nativity story book and The Jesus Story Book Bible for them to open and I will ready the full Nativity story. So all in all a nice way to spend some time together as a family, as well as spending some time dedicated to incorporating Christ into our Christmas season. 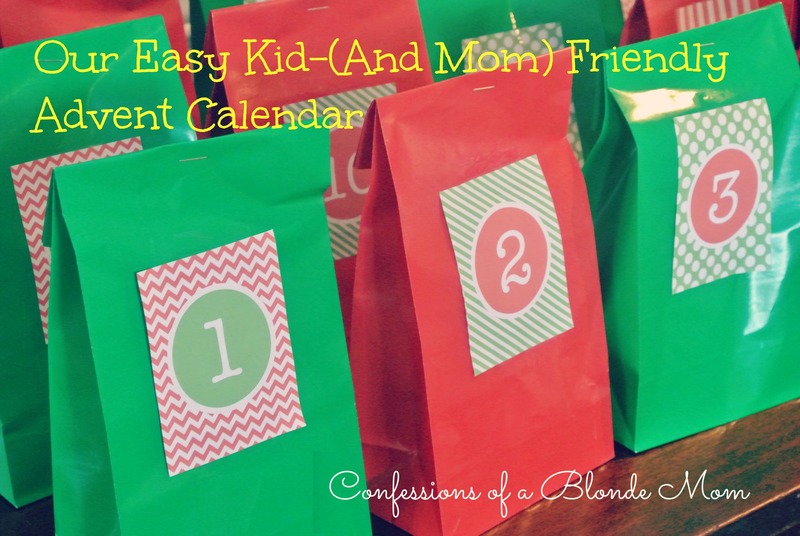 Have you done an Advent calendar with your family? How do you incorporate Jesus into your Christmas routine? I remember vividly the summer of 2010, an August day, sitting by my parents pool in a pink polka dot bikini. It was the day that made me know the strength and depth of love. BAM. That hit me hard. (Like the could’ve had a V8 commercials.) How could I have been so selfish in my thinking that I didn’t have the capacity to love another child? I have kept her words close to me as I have been raising our little girls over the these few short years. And I keep those words especially close as my husband and I prepare to welcome our third child into this world this spring. This third child has been a very conscious decision, a planned and prayed about child. Maybe we’re wiser or more experienced this time around, maybe I know my tree of love is branching as I type this, but this pregnancy has been so close to my heart. 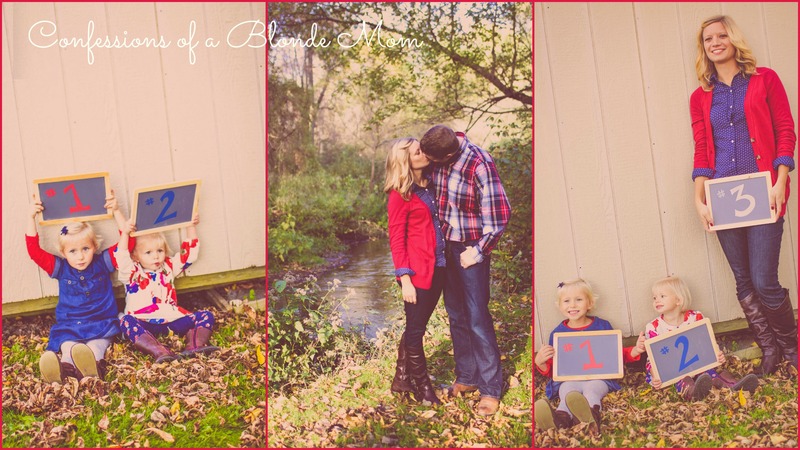 We are excited for this child as if it was our first. (Maybe because we long to snuggle a tiny bundle that doesn’t talk back to us and doesn’t have a tantrum over not being allowed to have a piece of gum.) Maybe because we know how awesome the baby stage is and how awesome it is to watch them grow into busy toddlers and curious preschoolers. Or maybe it’s because when this next child arrives, our girls will be older and their excitement over this child builds each day. Our first daughter was only 22 months old when our second daughter arrived and she had no clue what was going on. This time, my girls are just adding to my own baby excitement. They touch my growing bump and talk about “mommy’s baby” all the time. My four year old even warns me while opening tight jar lids and climbing my attic stairs to “Be careful mom! There’s a baby in your belly!” Precious. And so my tree is branching and my love is growing. I look forward to the chaos that will be brought about when baby arrives in the spring, along with an overflow of love and special family memories. Most importantly, I look forward to growing roots of love in each of my children’s hearts. 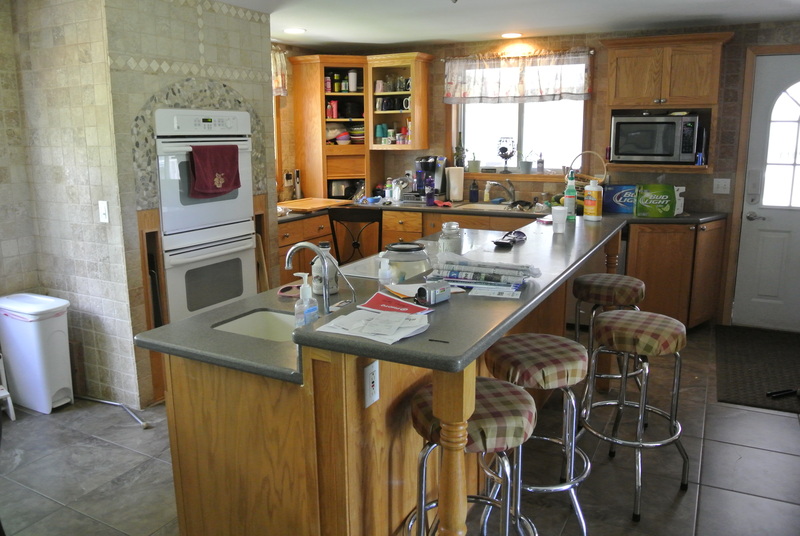 Our kitchen was already renovated when we moved in back in 2009. 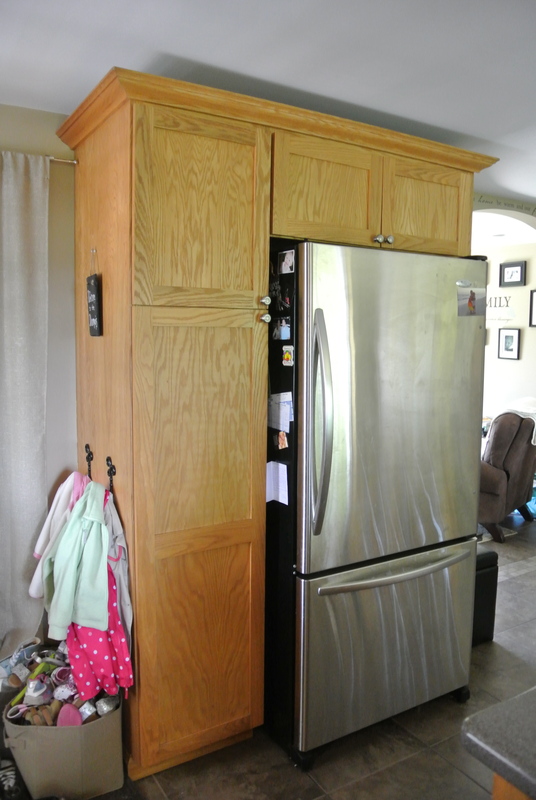 It had oak cabinets and it was a very nice kitchen- it just wasn’t my style. I also think it didn’t match the rest of the theme/decor in our home. We have lots of white crown molding, pillars, wide base boards and wainscoting throughout our home and the oak kitchen just didn’t fit the house. 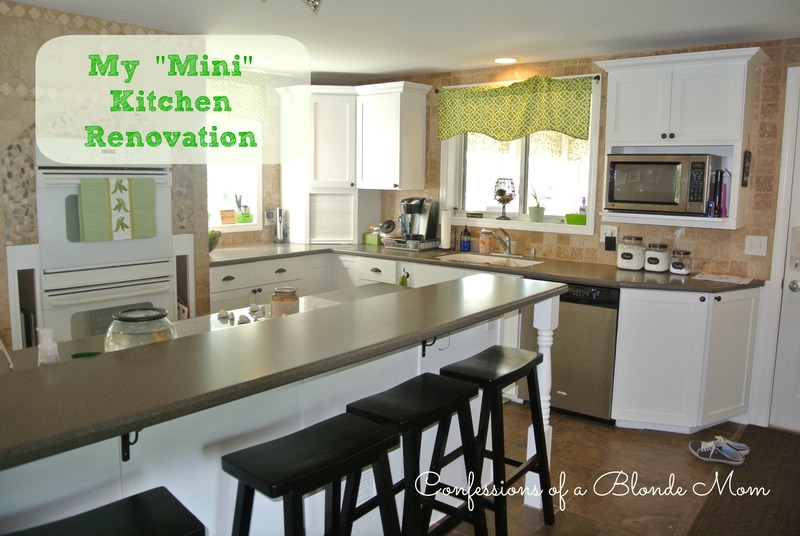 So when I brought up renovating the kitchen, my husband looked at me like I had three heads. No joke. He wasn’t buying into my “need” for a new kitchen. In comes my creative side and I said “how about I paint the cabinets and do some small updates?” He agreed on the condition he wasn’t involved in any of the painting. Boom! Painting commenced! Kitchen before. Don’t mind the extreme mess and I had started taking the doors off when I remembered to snap a few before pics. So I funded this project by having a garage sale- I made $200 which covered the paint and supplies as well as some curtains. I started blowing the budget when I wanted new stools and accessories. However, I was frugal with $30 stools on Amazon, dollar store towels and bins and some quick thinking with spray paint. How did I do it? First, I removed the door fronts (and hardware) and numbered them all with painters tape, I then used liquid sand paper to take off any shine on the cabinets. I used my garage to layout all the fronts to primed, sanded and painted. I primed everything with two coats of Sherwin Williams Pro-Block Primer. I used a brush and a mini roller. The paint I used was Sherwin Williams ProClassic Waterbased Acrylic-Alkyd Enamel. It cleans up like a latex and wears like an enamel. Best of both worlds! (However its over $50 a can, and worth every penny. 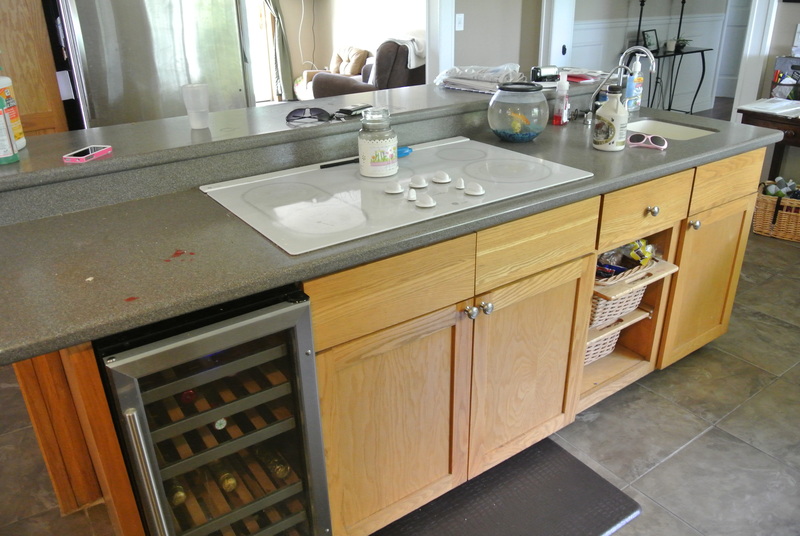 Don’t bother painting your cabinets if you’re not willing to pay for good paint.) I used three coats of the paint to complete the project. my Happiness is Homemade sign! All in all this is NOT a weekend project, it takes weeks folks, weeks! Many days of painting and drying and sanding. If you can stick it out then this project is for you. The results are fantastic! 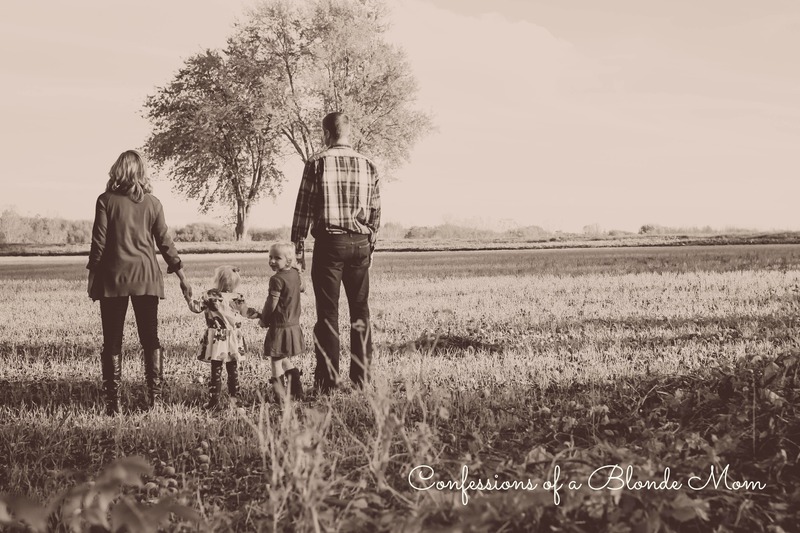 I'm Shawna, mother of 2 blondies, wife to 1 blonde guy and I'm navigating motherhood one blonde moment at a time.